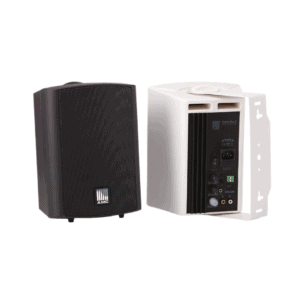 OVO5T is design two-way 100 volt or low impedance cabinet loudspeaker that can be used for background music and paging purposes both indoor and (covered) outdoor. 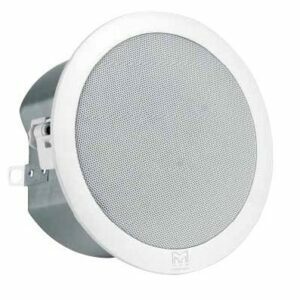 This speaker produces 80 watts @ 16 ohms or when used in 100 volt you can select 30 – 15 – 6 – 3 watts with the easy accessible selection switch at the back. 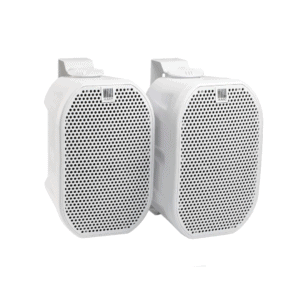 Install as much speakers as you want in large-surface projects like company buildings, neighbourhood centers, commercial applications… thanks to the fresh and young design this speaker fits into any area, whatever its décor or interior style. 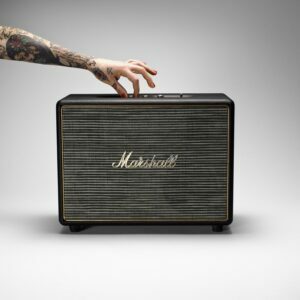 The sturdy ABS plastic housing guarantees years of trouble free musical enjoyment. 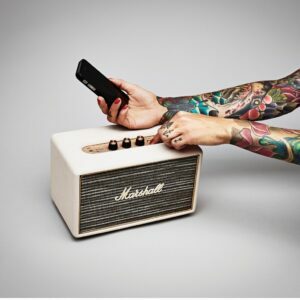 OVO5T has a 5.25” paper cone woofer and 1” silk dome tweeter. 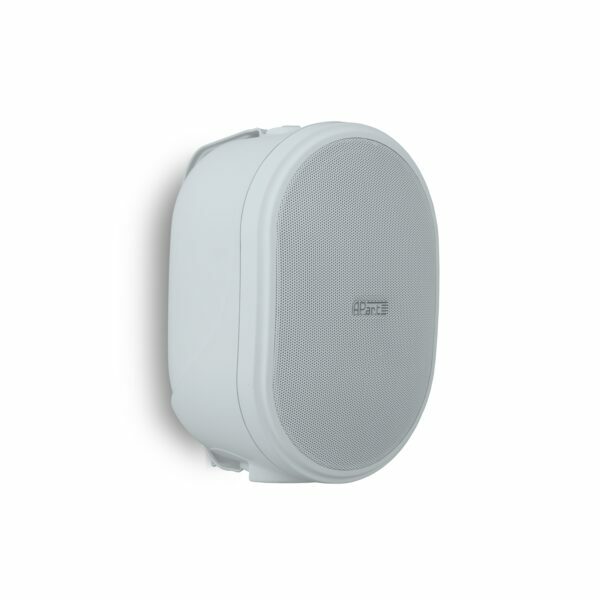 OVO5T can be mounted with the included wall bracket while the Quick-Fit cable clamps ensure quick and easy mounting in a wide range of positioning. 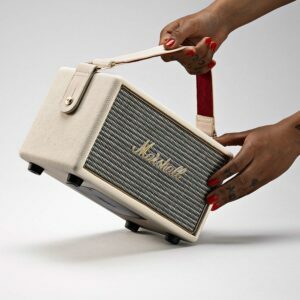 The speaker can also be placed freestanding on a shelf or desk.